Top rated hostel in Tokyo, featured in magazines, newspapers and TV programs, Aizuya Inn owes the media attention due to its unique blend of modern and traditional interior, as well as for its location: close to 3 lines (Hibiya, JR JOBAN, Tsukuba) yet ever so quiet! 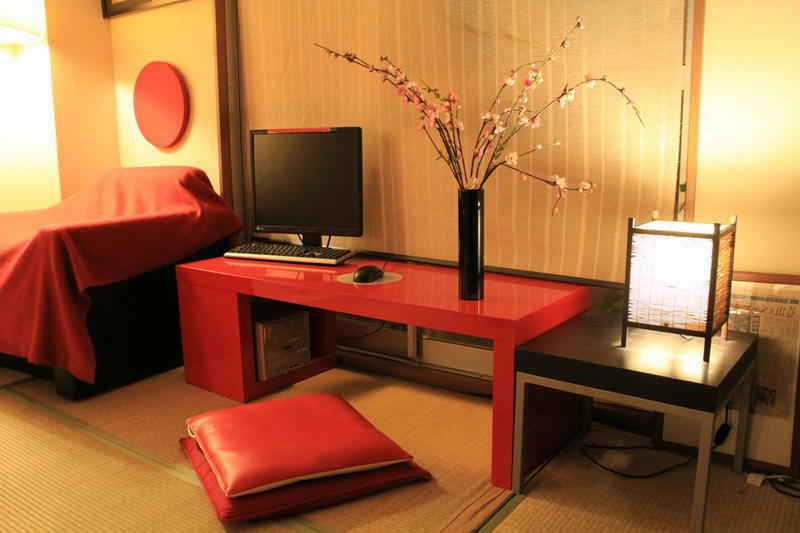 The rooms combine true Japanese experience (beddings are futons and floor is tatamis) with the practicality you would expect from a very modern hotel: air-conditioning and flat screen TVs in every rooms. The serene & comfortable lounge offer free internet access, Wifi, English TV channels as well as numerous books, travel guides and leaflets about Tokyo and Japan. 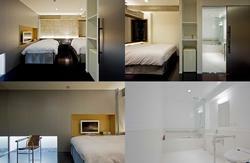 We have laundry facilities, 24hrs individual coin-operated showers as well as a fully equipped kitchen. But if you feel like having a real (and inexpensive) Japanese breakfast, you can visit our sister cafe just across the road or order food directly to your room! Cherry on top, our staff from different nationalities are multi-lingual: French, German, Russian as well as English and of course Japanese are spoken!!!! Very knowledgeable, they will be more happy to assist you from 08:00 until 22h00 every day. ●It takes 10 minutes from Minamisenju station (Tokyo Metro Hibiya Line, Tsukuba Express, and JR Joban Line) by foot. From Minamisenju station, get off in the south exit. When you pass the ticket gate, you can see a pedestrian overpass on your left. Cross a pedestrian overpass and go down from the left side, then keep going straight behind the railroad on your back. Follow the big road until you can see Seven-Eleven, a 24 hour open convenience store on your right. Cross Namidabashi intersection looking at Seven-Eleven store on your right, keep going straight until you can see a parking lot. When you pass the small parking lot on your left, there is a Bar having a blue awning. 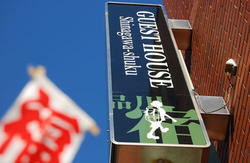 Make a left turn on the corner of the Bar, you can find a big red sign Aizuya inn on your ahead. From Minamisenju SUBWAY station, get off at the south exit. When you pass the ticket gate, you can see a pedestrian overpass on your left. Cross a pedestrian overpass and go down from the left side, then keep going straight behind the railroad on your back.